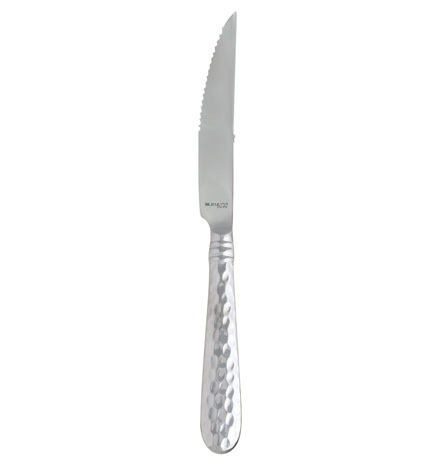 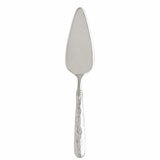 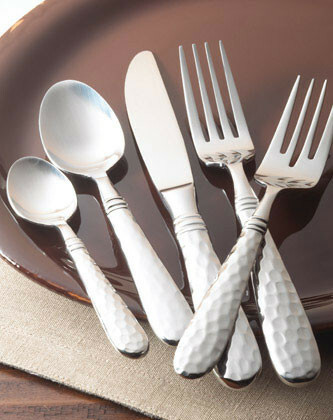 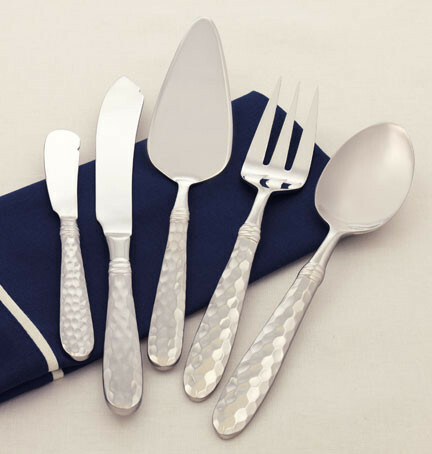 Italian Artisans forge each piece of Martellato flatware, adding hammered detail. 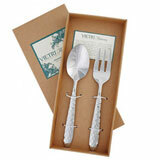 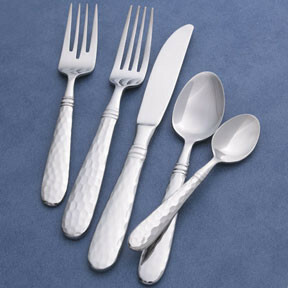 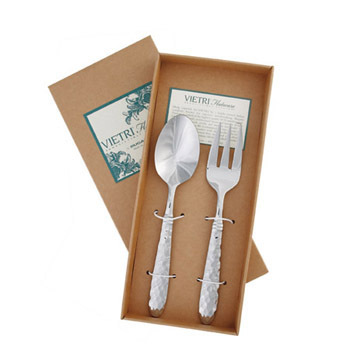 A casual flatware collection, Martellato pairs perfectly with Vietri's dinnerware collections. 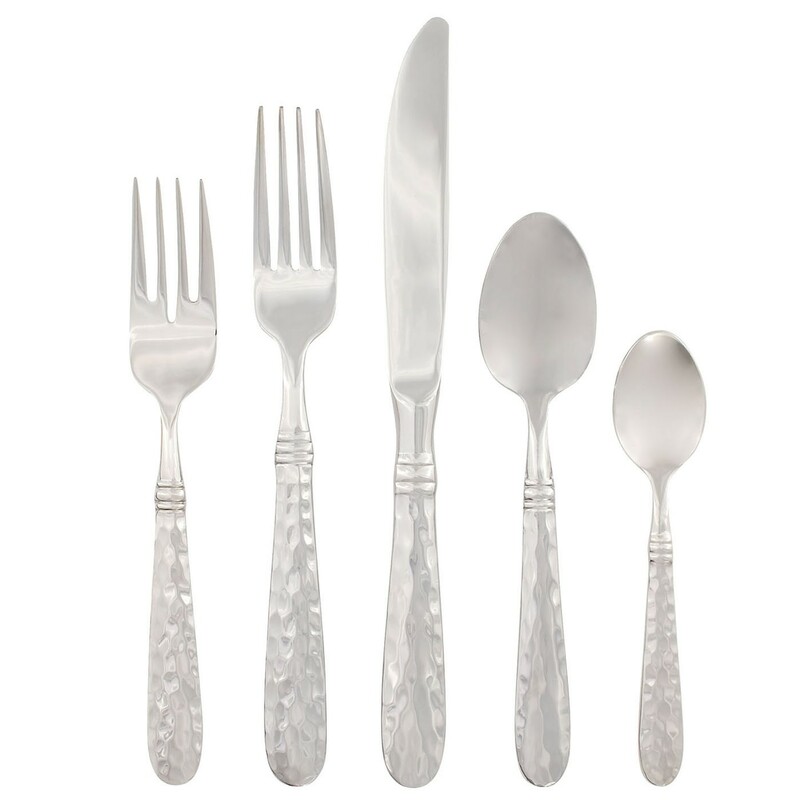 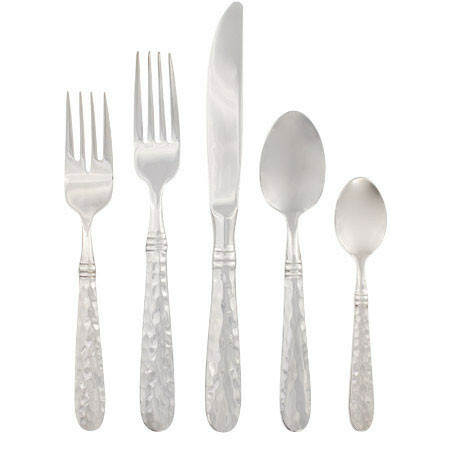 Heavy gauge 18/10 stainless steel combined with years of craftsmanship result in a well-balanced, weighty flatware. 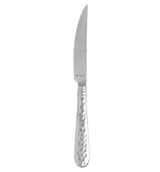 Care: Dishwasher safe. 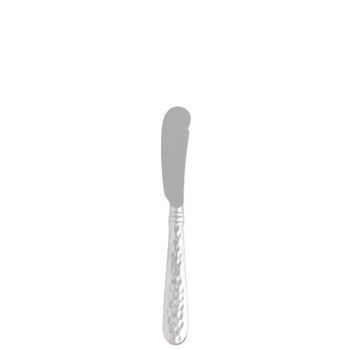 Use the low-energy/air-dry cycle with the handles placed up in the basket and a mild, non-abrasive detergent that does not contain chlorine, alcohol or perfume.